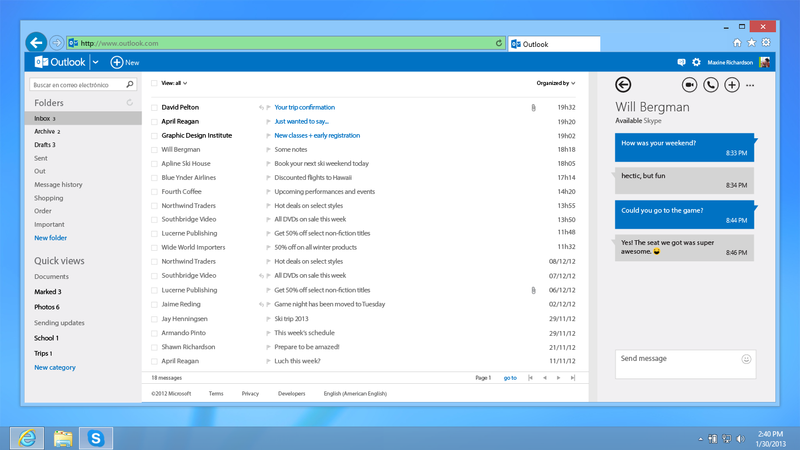 Microsoft announced Skype for Outlook.com nearly an year ago for the United Kingdom. Three months later, the company expanded the service to five more countries -- United States, Canada, Germany, France and Brazil. Now finally Skype for Outlook.com is now available to all. Microsoft has also added HD video calling support to the web version of Skype. All you have to do is, download the plugin, link your Skype account in Outlook.com to find your friends and start a video call or send an instant message from within your Inbox.